If you’ve got pain in and around the patella (or kneecap) with no noticeable injury or swelling you could have PFPS. This is when the cartilage under the kneecap gets worn down through overuse. PFPS is common in active people. So how do you know if you have PFPS? 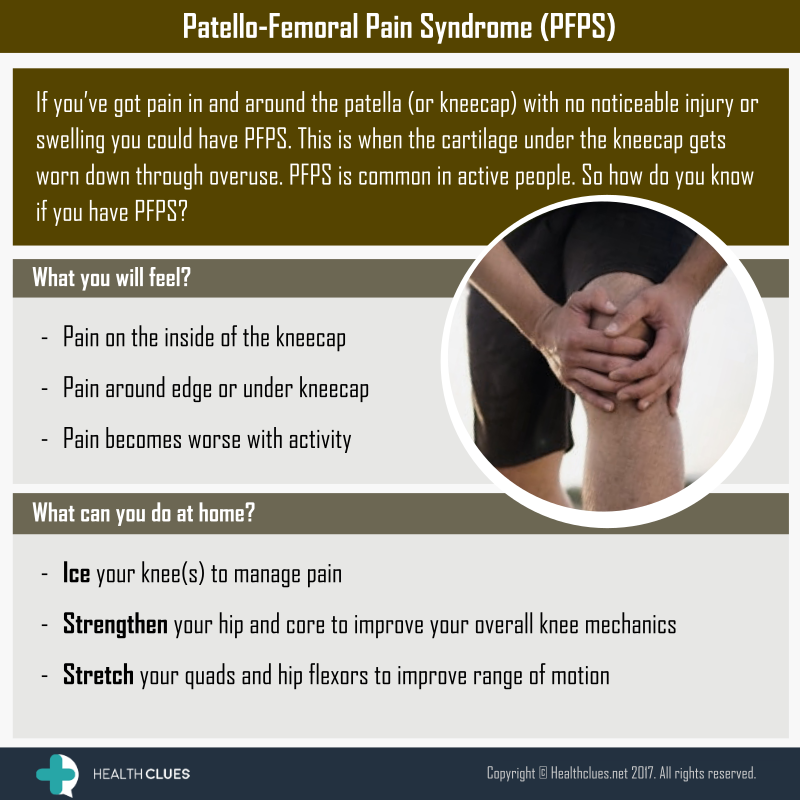 General knee cap pain, knee pain, Patello-Femoral Pain Syndrome, PFPS. permalink.